FOX VALLEY METROLOGY, LTD. - THREAD CHECK INC. Packing list should include purchase order number, return address, contact name, telephone number, and special instructions if required. Orders shipped without the required paperwork will be held without processing. Orders shipped with qty discrepancies that do not match the paper work will be held pending confirmation. Please contact Thread Check, Inc. with any questions or special instructions. We look forward to servicing all you calibration and gaging requirements. Fox Valley North Metrology / Thread Check Inc is comprised of five different calibration labs: a hard gage calibration lab, a dimensional inspection lab, an electronic calibration lab, a hand tool calibration & repair lab and a field service technicians group. Fox Valley North Metrology / Thread Check Inc can develop and implement a calibration program that is customized to your exact requirements. We also provide a FREE ONLINE CALIBRATION MANAGEMENT program which provides paperless management for all of your equipment. This service includes the ability to view and print the history of all your calibrations as well as an automatic recall system that reminds you when your gages are due for recalibration. Go paperless and don't go back! Fox Valley North Metrology remains the innovator of "Paperless Certifications" with new features added monthly. Certifications are now downloadable in Adobe's Portable Document Format (PDF) and have added new search engines for enhanced customer ease. The HARD GAGE calibration services lab calibrates many different types of gages: Thread plug gages, thread ring gages, special thread gages, blocks, thread measuring wires, plug gages, cylindrical rings, master discs, gage blocks, tapered thread rings, tapered cylindrical gages, etc. Thread Check Inc and Fox Valley North Metrology have the expertise to build and calibrate special and complex gages and fixtures. The HAND TOOL calibration and REPAIR lab is responsible for calibrating and repairing many different hand tool types such as pitch micrometers, indicator calibrators, dial snap gages, etc. The ELECTRONIC CALIBRATION LAB calibrates many different types of electronic equipment including digital multimeters, thermal couples, function generators, etc. The DIMENSIONAL INSPECTION LAB specializes in performing dimensional inspections using state of the art software and inspection equipment such as the Zeiss Eclipse and the COORD3 ARES CMM. We also have the capabilities to do full non-contact vision inspection. Our FIELD SERVICE technicians group has the ability to travel to your place of business to perform calibrations on your hard gages, electronics or hand tools. This minimizes the risk and inconvenience of shipping large and expensive equipment as well as any downtime your company may experience by sending them out. Fox Valley North Metrology/ Thread Check Inc. use state of the art equipment to ensure the highest degree of measurement uncertainty. With this equipment, and our custom-designed software, FVNM is able to offer you the best possible turnaround time, and pricing in the industry. The hard gage calibration lab is held at 68°F with relative humidity not to exceed 45%. Both temperature and humidity are closely monitored by our Honeywell environmental control unit. We also have a suspended floor to help avoid unnecessary vibration and ensure a good measurement uncertainty of all of our equipment. When your gages arrives at the hard gage lab, they have already been thoroughly cleaned and inspected for shipping damage. Gages sit in the lab for 24 hours in order to acclimate to our lab conditions. When the gages are calibrated, they are also closely inspected for nicks, burrs, and corrosion; then re-cleaned and stickered. When packaged for return, gages are either coated in dip-seal, or oiled and wrapped in bubble wrap, and boxed securely. Calibration pricing includes cleaning, and level 4 certification. Currently, our average turnaround is 3-4 days. The Pratt & Whitney Laseruler is a linear machine with 8 inches of travel and a measurement uncertainty of 5 µin through 7 inches. With software, it can be set up to calculate the temperature coefficient and adjust for humidity, barometric pressure, etc. Capabilities include: Plug gages, Pin Gages, Gage Blocks (grade 3 and under), Depth Mic Masters and Thread Wires. The Pratt & Whitney Supermicrometer has a 10 inch travel and a measurement uncertainty of 17 µin over 1 inch of travel. It is extremely accurate for thread gaging. With a RS232 output that is directly networked to our software, we are capable of entering data at the touch of a button. Some capabilities include thread plugs, thread setting plugs, thickness gages, and length standards. ULM Opal 600 Universal Linear Measurement Machine is used to measure cylindrical rings, non-standard thread rings, length standards and gage blocks up to 24". The Opal features computer assisted temperature correction. Helios UMG50 Plug Gage Comparator is used to calibrate cylindrical plug and pin gages, thread plugs and thread setting plugs up to 4" in diameter. The portable size of this comparator allows us to come in to your facility to perform on-site calibration. Tesa Dual Head Gage Block Comparator is used to check gage blocks that are Grade 2 and higher. This comparator also gives us the ability to check the flatness of your gage blocks. The Series 400 Amplifier is a sophisticated yet easy to use instrument with a modular surface texture program. All models feature a vacuum fluorescent display and sealed membrane keypad. An RS-232 communication port is standard (RS-485 optional), along with a remote start switch port and lockout key switch. Battery power is included on all models with the graphic plotter, and is optional on all other models. Operation is at once simple, sophisticated and secure. The instrument is configured by an easy-to-use set-up menu. The user selects the proper settings for the cutoff, stroke length, standard 2RC and Gaussian filters (Rk filter optional), parameter functions, serial port and plotter operation. Set the exact stroke length required or use the standard 5-cutoffs. After setting, the programming can be secured by a turn of the lockout key, which prevents inadvertent changes. Once configured, the system operates by pressing the Start Button or through use of an optional remote start switch. Skid-referenced systems are designed to measure normal I.D., O.D., and flat surfaces. The skid-referenced motor drive (piloter) contains a motor which moves the linkarm with the tracer across the surface to be sampled. The tracers have skidpads which establish a reference line. The transducer translates the vertical motion of the diamond tip stylus in relation to the reference line. The piloter traverses at a speed of 0.1 in/sec (2.54 mm/sec) for the travel length specified and can be set to acquire data in either direction. Our patented Lite-Touch Linkarm protects the tracer and surface from inadvertent damage and comes standard with each system, unless otherwise specified. Fox Valley North Metrology/ Thread Check Inc repair service has compiled an inventory list of over 500 common part numbers. We are also directly supplied by several large suppliers to ensure that if the parts needed are not in stock, we can get them for you in a timely manner. When your gage comes into our lab, it is cleaned and inspected. If repair is required, and does not exceed half the cost of a new gage, you are contacted with a quotation for repair. Upon receipt of permission to repair, your gage is repaired and then inspected and calibrated. Current average turnaround is 4-6 days. Prices include level 4 certification. In addition to great work and service, our very knowledgeable hand tool repair technicians also teach classes on hand tool repair and calibration. We are equipped with an S-T Industries 23-0083 Series universal gage lapping machine. With this machine, flatness and parallel can be repaired on your micrometers, calipers and snap gages for a cost much more reasonable than new. The Glastonbury Depth Mikmaster is a master gage with a .5 inch-5.5 inch range used to calibrate different types of depth gages. Mounts on Dial Indicator Calibrator to provide calibration of Brown & Sharpe BesTest and other test type indicators. Attachment is adjustable to accomodate different sizes and mounting types. Fox Valley North Metrology / Thread Check Inc. is able to offer its customers complete repair and calibration services on nearly all makes and models of electronic test and measurement equipment. Most calibration services can be performed in our lab or at your facility. By allocating personnel to handle equipment repairs, Fox Valley North Metrology/Thread Check Inc. is able to maintain lower cost and quicker turnaround on repairs it completes. All repairs are quoted prior to completion, and will not exceed 50% of the cost of a replacement. All technicians are supplied with laptop computers and portable printers for any on site requests. Also, technicians are equipped with DoDMIDAS and GIDEP CD-ROMS, which contain all military and some civilian calibration procedures. This enables the customer to receive accurate certifications and calibration labels at the time the job is completed. Most of Fox Valley Metrology's electronic calibration technicians have been trained in the military and boast years of calibration and repair experience. HP 53132A Universal CounterThe Agilent 53132A universal counter has frequency resolution of 12 digits per second, 150 ps time interval resolution and a complete set of test and analysis features. The unit comes with two 225 MHz channels, and you can choose an optional third channel that measures up to 3 GHz, 5 GHz or 12.4 GHz. Omega BB702 Infrared Temperature CalibratorThe BB702 Blackbody Calibrator is a high performance, rugged, portable calibrator for infrared pyrometers. The BB702 has a range from Ambient +10 to 215°C (Ambient +20 to 420°F) with an accuracy of ±0.5°C, ±0.25% rdg. The unit provides a heated target plate of known temperature and emissivity. Virtually any infrared pyrometer with a spot size diameter of 63.5 mm (2.5") or smaller can be calibrated. Both models come with an RS-232 computer interface which allows computer control of the setpoints for automatic test applications. 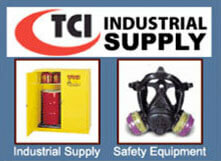 An NIST traceable calibration certificate is also provided. Perform automated calibrations, including computer-aided, closed-case and closed-loop calibrations on all kinds of test and measurement tools and equipment including RF and microwave instruments. Create, edit, test and document calibration procedures, with thousands of procedures to get you started, and hundreds more available from Fluke and Fluke software partners. Calculate and report measurement uncertainty consistent with international standards. Access information over the Internet. Track asset information including calibration and maintenance history and status, traceability, users, customers and location. Analyze and report asset information; produce certificates and reports. Meet the requirements of quality standards like ISO 9000, ANSI Z540, ISO/IEC 17025, FDA GMPs, NRC 10 CFR and others. The HP 58503A GPS Time and Frequency Reference Receiver maintains frequency accuracy of better than .000000000001, even in the presence of Selective Availability. This performance, combined the unit's low cost, makes it an attractive lab alternative compared with more expensive cesium and rubidium solutions. The Ametek Dry Well Temperature Calibrator is abient to 600° C/1100° F. The Calibrator is also monitored with a platinum RTD Probe. The Brooks Automatic Gas Calibrator is capable of measuring a selected volume of gas up to a maximum capacity of 24,000 cubic centimeters per minute. Gas flow is collected in a precision-bore glass cylinder under a mercury sealed piston. Fox Valley North Metrology/Thread Check Inc. offers full dimensional inspection capabilities using all DCC machines with PH10 heads and the latest software and technology. We also have a DCC Video machine which allows us to inspect by non-contact, which increases our field of inspection. The Coord3 Ares is made of space age material and has a measuring envelope of 40" X 27.5" X 19.5". Coord3 offers two kinds of software outputs: the Winmeil software for conventional inspection and the AAT Capps and Edges software, which is designed for engineering needs. It is capable of scanning and digitizing as well as being programmed from your CAD files. It also allows you to compare part features to actual CAD files, and gives you the ability to create IGES files for easy transfer of data to your CAD system. The Zeiss Eclipse has a measuring envelope of 28X40X22 and ST Probe head. The Piezo electric sensor allows for accuracy unparalleled in the industry. The Eclipse's software allows for 2D and 3D scanning as well as collection of statistical data, with full SPC feedback. The Micro-Vu Video CMM is capable of inspecting parts where a touch probe may not be practical. It features complete CMM capability and offers DXF file out to interface with your CAD system. ACCURE is a modular series of coordinate measuring instruments satisfying the highest demands on precision and accuracy while also affording flexible automation. With ACCURE, OKM continues the notable tradition of optical coordinate measuring equipment made in Jena. Featuring Carl Zeiss technology, high quality and innovative design, our products are bound to be successes - for the manufacturer as well as for the user. UNI-VIS is a family of measuring machines of modular design. The concept allows optimum, cost-effective solutions for every requirement - machine configurations can be tailored to specific applications with regard to measurement volume, accuracy, accessories and measurement methods. By retrofitting, the machine easily adapts to new measuring jobs. Fox Valley North Metrology/ Thread Check Inc. field service technicians group has the ability to travel to your place of business to perform calibrations on your hard gages, electronics or hand tools. This minimizes the risk and inconvenience of shipping large and expensive equipment as well as any downtime your company may experience by sending them out. Our technicians travel with a laptop computer and printer so that we can issue certifications at the time of calibration. Laptops are equipped with military and internal procedures so that you can be assured that the correct procedures are being followed. Pricing includes level 4 certification. 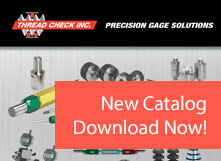 All calibration reports are later uploaded to our on-line calibration program for your review and printing. Thread Setting Plug Gages 0-4"
Eight Torque measurement units: in. oz., in. lb., ft. lb., Nm, dNm, cNm, mkg and cmkg. Glass scale technology is the industry standard and is perferred worldwide for postion feedback. For nearly four decades, ACU-RITE's precision glass scale technology has proven its superior reliability through consistant accuracy and durability. Glass is an inherently stable material that resists changes in size, shape or density due to variations in temperature or humidity. This stability allows for the generation of numerous ultra-fine line patterns; providing ACU-RITE precision glass scales with exceptional accuracy down to ±1.5 µm (.00006"). ACU-RITE scales are available in travel lengths from 1"-773" and in resolutions from 0.5 µm (.00002") to 10 µm (.0005"). Quick, accurate and simple setting to gravity, or measurement of level. Unrivalled accuracy of 0.2arc second over the centre measuring region. RS232 and analogue output from the display unit. Standard Size 0 to 1/2"
17025 accredited certs require approximately 1-2 weeks of additional lead-time. Special thread ring gages require the purchase or supply of master setplugs to perform 17025 accredited calibration. Visit www.threadcheck.com or call for information on our In - Service (customer property) 17025 Accredited calibration services. All gages are supplied with a Certificate of Compliance traceable to N.I.S.T. free of charge. No specific size or dimensional data is supplied with this type of cert. Prices subject to change without notice.